Bikers, did you know more than 100 motorbikes are stolen every day, almost half of which are never seen again, scary eh? More and more thieves are going to extraordinary lengths to get their hands on your most prized possession, and because many thieves steal to order no bike is completely safe! For every 20,000 motorbikes stolen it is estimated just 8,000 are safely returned, with the others typically being exported across Europe, sold on the black market or scrapped for parts. So what can you do to prevent your motorbike falling into the hands of a motorbike thief? Well you could invest in a top of the range chain lock to deter criminals, but this won’t stop the most determined! Instead spend your money on a top of the range, sophisticated motorbike tracker. 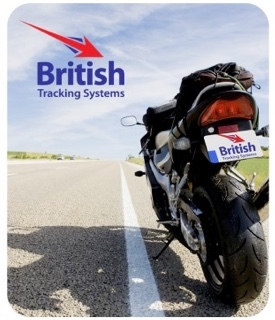 The Thatcham Category 6 assured British Tracking Systems Motorcycle Tracker uses Glonass and GPS satellites to track your motorbike 24 hours a day, 7 days a week! Using the latest motion sensing technology this sophisticated motorbike tracker monitors un-authorised movement and can be connected to the alarm system of your motorbike. Discreetly installed it comes with a waterproof case for extra protection when out on the road! 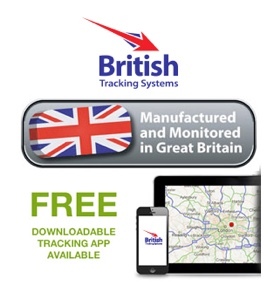 And with more and more motorbikes being stolen and exported overseas the British Tracking Systems Motorcycle Tracker comes with European coverage as standard for added peace of mind. So if you want peace of mind knowing your motorbike is protected around the clock call TrackerFit to book an installation slot. For more information speak to one of our experts on 0800 756 5100.